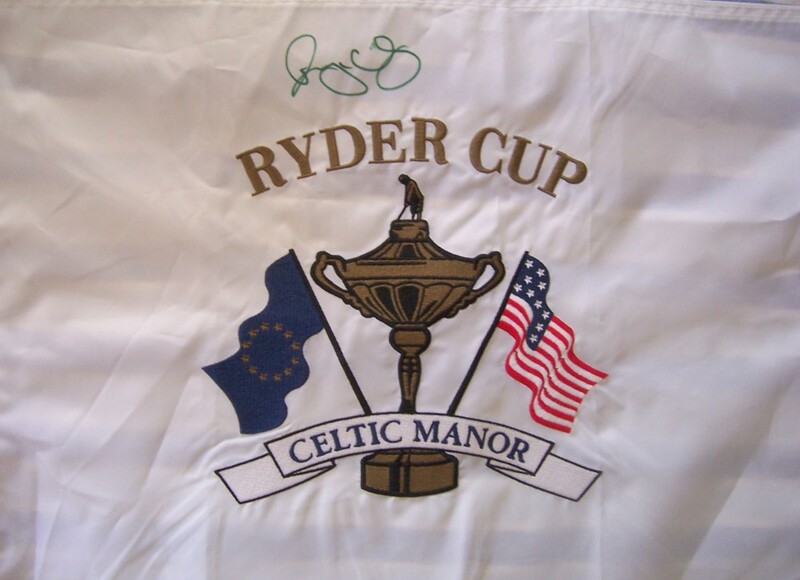 2010 Ryder Cup (Celtic Manor) embroidered pin flag autographed in green marker by superstar Rory McIlroy of Team Europe, which won the event in dramatic fashion. 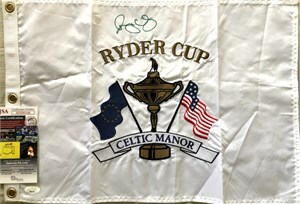 NOTE: signature has tiny smear as shown. Obtained in person at the 2010 Chevron World Challenge. With certificate of authenticity from AutographsForSale.com. ONLY ONE LEFT.